Rogers 2nd store on State (Front) St.[referring to this photo.] 1st Rogers Store on State and B - N.W. Corner; 3rd [Rogers Store] near State and A; 4th [Rogers Store] A & 1st, N.W. corner. Oswego Market and Bakery. By 1929, they added the Oswego Market. Description Scratches, tears & creases. Transcription Rogers 2nd store on State (Front) St.[referring to this photo.] 1st Rogers Store on State and B - N.W. Corner; 3rd [Rogers Store] near State and A; 4th [Rogers Store] A & 1st, N.W. corner. 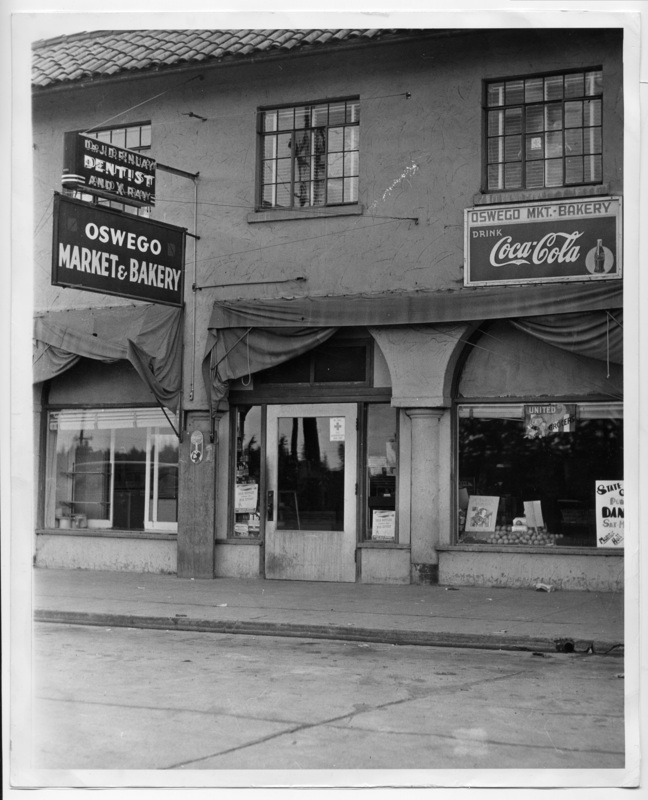 Oswego Market and Bakery. By 1929, they added the Oswego Market.